The ergonomics and precision features of the OF 1010 EQ deliver a host of benefits which add up to an unbeatable tool. One-handed operation allows you to switch it on and off, plunge, cut and release with ease. 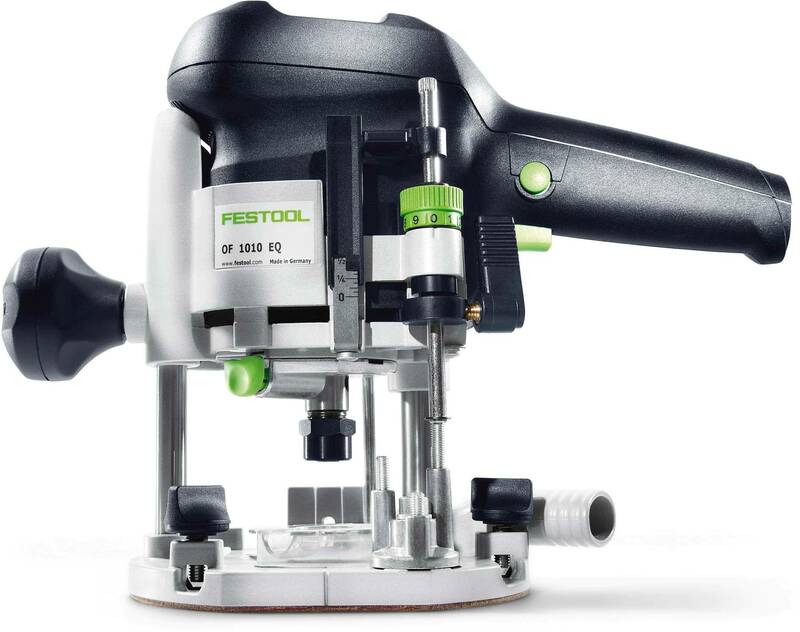 The compact design and the efficient center of gravity make this tool extremely maneuverable. Its micro-adjustable depth control is accurate to 1/256" (1/10 mm). The OF 1010 EQ is also the lightest router of its kind—a real plus on extended projects. This, on top of enough power for all 1/4" and 8mm bits. The OF 1010 EQ Router provides a smooth 2-1/8" plunge action which enables you to maintain complete control with a quick and secure plunge lock. Micro-adjustable depth control to 1/256" (1/10 mm) which allows you to dial in your routing with tremendous precision.